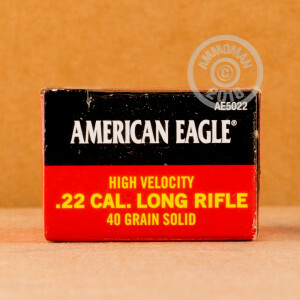 This brick of .22LR ammo from Federal's economical American Eagle brand is an excellent value for all your high volume rimfire needs. 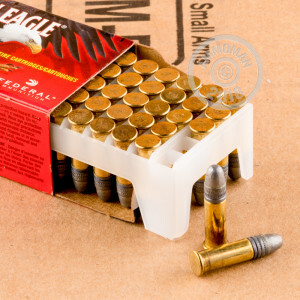 These cartridges produce a "high velocity" of 1,240 feet per second using a 40 grain lead bullet. 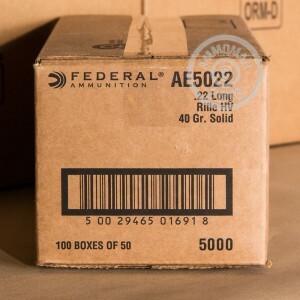 Grab a few bricks of .22 Long Rifle ammunition at AmmoMan.com and save big with free shipping for all orders over $99.